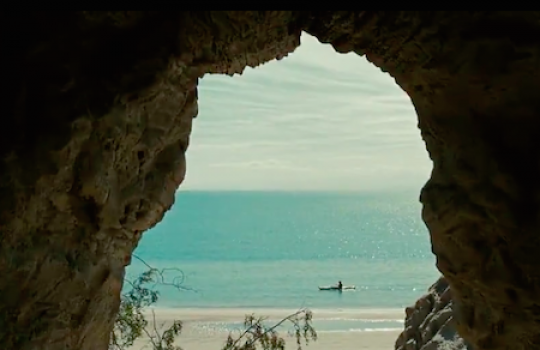 Into the Wild (2007) is the fourth feature film of director Sean Penn. 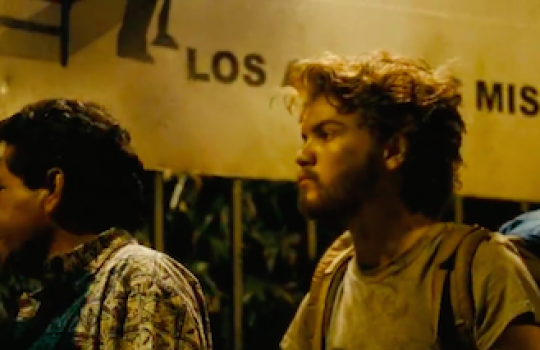 It is based on the true story of Christopher McCandless, an adventurer who, after graduating from college, gave up his comfortable life to start an intransigent quest for freedom from Georgia to Alaska through South Dakota, Arizona, Nevada, Mexico and California. 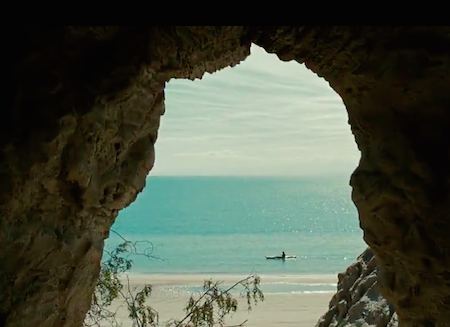 Into the Wild is a beautiful ode to nature and, above all, to being true to oneself and seeing through the vanities and lies of modern civilisation. 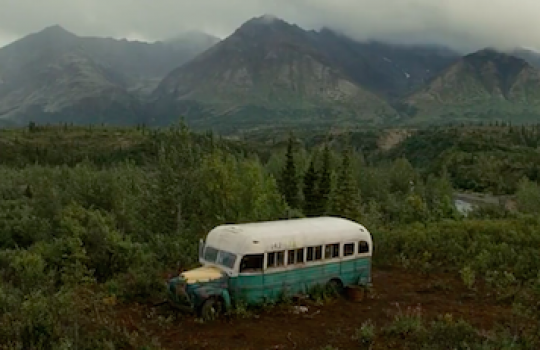 Shot all over the United States, the sceneries of Into the Wild are breathtaking, especially the ones in Alaska. We can only regret a few negative aspects of the main character, like his total neglect for his sister who cares deeply about him or his fondness for hunting that is odd for someone inspired by vegetarianism pioneers such as Thoreau and Tolstoy. 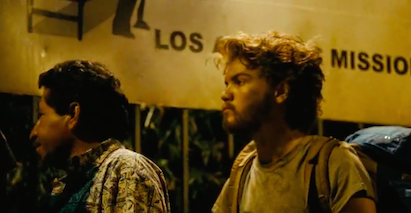 Nonetheless, it is difficult not to be enchanted by the hypnotic performance of Emile Hirsch as main actor. 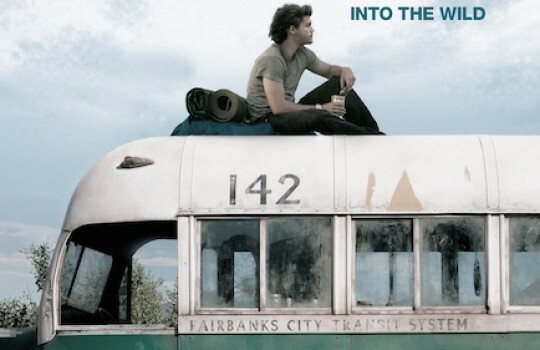 Into the Wild features some legendary hiking trails like the Pacific Crest Trail in California and the Stampede Trail passing by the famous Magic Bus 142 in Alaska. Read below for more information on all Into the Wild filming locations and tips on how to experience them by yourself! Christopher McCandless' trip starts at Emory University in Atlanta (Virginia). After graduating from college, Chris decides to embark on a journey to free himself from a world that he believes has alienated him from truth. 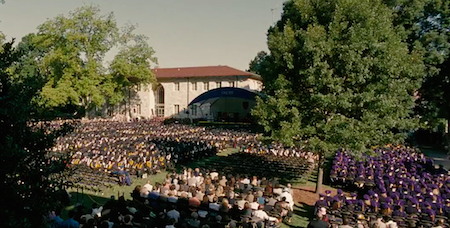 The lawn where the graduation ceremony takes place is actually from the Reed College in Portland (Oregon). Chris satisfies his desperate need for freedom by going on the road. 'And the road has always led west.' His road trip turns short though when his car is caught in a flash flood near Lake Mead in Arizona. He abandons the car there and camps on the shore of the lake. In Lake Mead, Chris doesn't only leave his car but also changes his citizen name 'Christopher McCandless' for a more exuberant one reflecting his new life: Alexander Supertramp! Located on the Colorado River, Lake Mead is the largest reservoir in the United States. A must-see if you pass by Arizona or Nevada! Chris (or Alexander) continues his trip with Northern California where he hikes the Pacific Crest Trail. 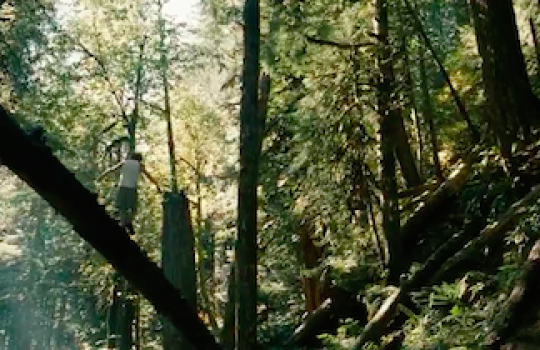 Near Lake Tahoe, he meets a couple of hippies formed by Jan Burres (Catherine Keener) and Rainey (Brian H. Dierker) and travels with them for a while. If you are into hiking, the Pacific Crest Trail is a nice challenge with its 4,286 km (2,663 mi). Of course, you can hike only the parts you like. With its route going from Mexico to Canada you can surely find natural sceneries to your taste! 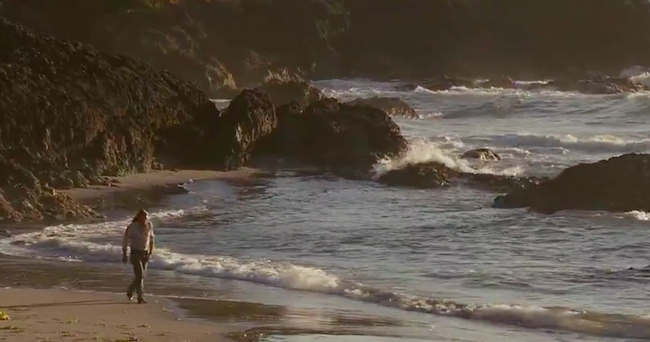 The scene where Chris plays in the waves with Jan is on on the beach at Beard's Hollow in Cape Disappointment State Park located on the border between Washington and Oregon. 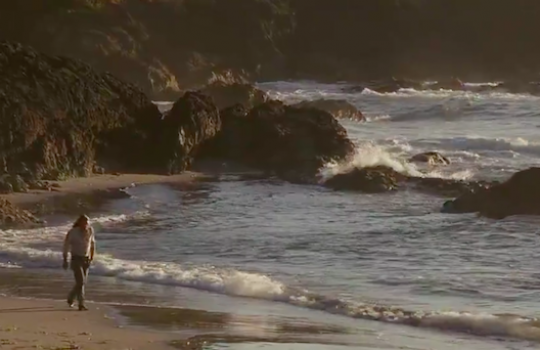 Christopher McCandless: Some people feel like they don't deserve love. They walk away quietly into empty spaces, trying to close the gaps of the past. 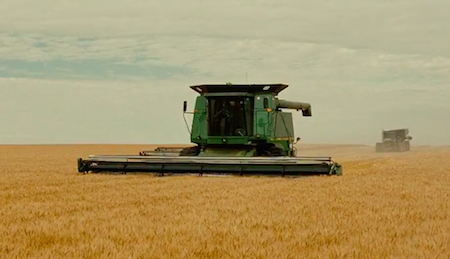 Chris somehow ends up in Carthage in South Dakota where he earns money in a grain farm. In the process he also receives a life lesson from the owner Wayne (Vince Vaughn) and wilderness survival tips from a fellow employee, Kevin played by Zach Galifianakis (!). Wayne Westerberg: In the wild. Wayne Westerberg: Yeah. What are you doing when we're there? Now you're in the wild, what are we doing? 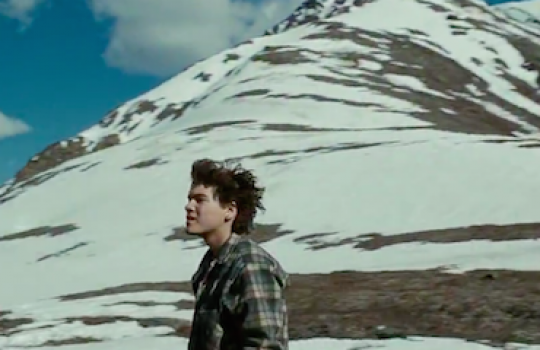 Christopher McCandless: You're just living, man. You're just there, in that moment, in that special place and time. Maybe when I get back, I can write a book about my travels. 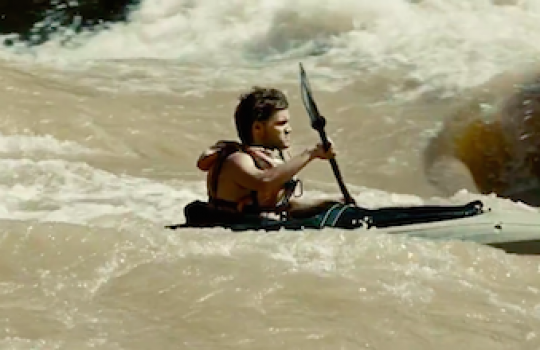 Back at Lake Mead in Arizona, Christopher descends the Ringbolt Rapids of the Colorado River at the Hoover Dam in Kayak. 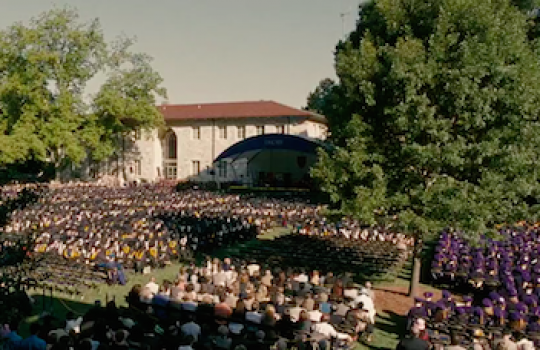 This scene (see photo) was actually shot there. He launches off Lee's Ferry in Coconino County (Arizona), which is the only spot in the area from which the Colorado River can be easily accessed. If you would like to relive Chris' kayaking experience, you could try to go on one of the many rafting trips through the Grand Canyon departing from Lee's Ferry. 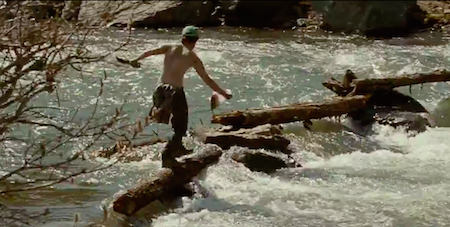 Christopher McCandless: If I wanted to paddle down the river, where's the best place to launch out of? Ranger Steve Koehler: To *launch* out of? Chris continues his kayak trip on the Colorado River from Hoover Dam in the direction of Mexico. On the way we can see him dancing with horses in a beautiful scene where he writes to his friend Wayne in South Dakota ('Hate to see a wild man like you in a cage.'). 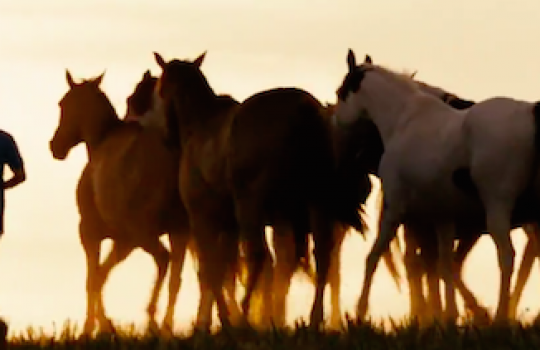 This scene was supposedly shot at the Black Hills Wild Horse Sanctuary in South Dakota, a marvellous place where about 600 wild mustangs run free. After a 644-kilometer (400-mile) kayaking journey, Chris finally reaches the Golfo de Santa Clara in the Sea of Cortez in Mexico. After staying in a cave for 36 days he crosses the border back to the United States at Los Algodones where he takes a freight train to Los Angeles. The passage of Chris in Los Angeles is a short one: after thinking of staying for the night at the Salvation Army, he prefers to flee the city and return to nature. Christopher McCandless: I read somewhere how important it is in life not necessarily to be strong... but to feel strong. He arrives in Slab City, a large campsite for 'snowbirds' (people who stay there in the winter before migrating north in the winter) campsite where he meets Jan and Rainey again. He's also introduced to Tracy (Kristen Stewart), a folk singer with whom he has a romance. 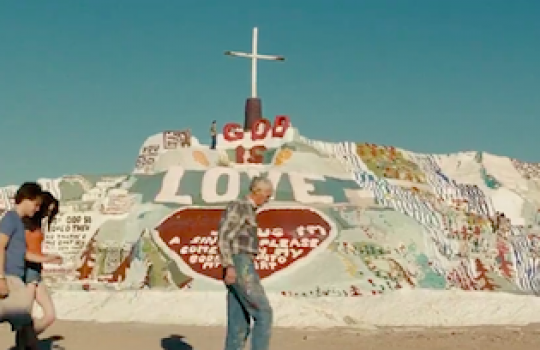 The lovebirds visit the Salvation Mountain and meet his creator Leonard Knight (played by himself), who sadly passed away in 2014. Chris cannot stay in one place, despite the new family he has found in Jan and Rainey or the love of Tracy. He goes on to Salton City where he meets an old man named Ron Franz. The two establish strong ties with Franz regarding Chris as the family he lost many years ago in a car accident. 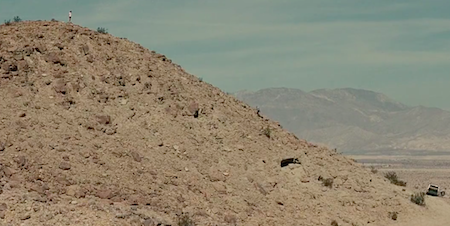 In a very symbolic scene Chris motivates Franz to climb a mountain where there is a beautiful panorama of the Salton Sea. 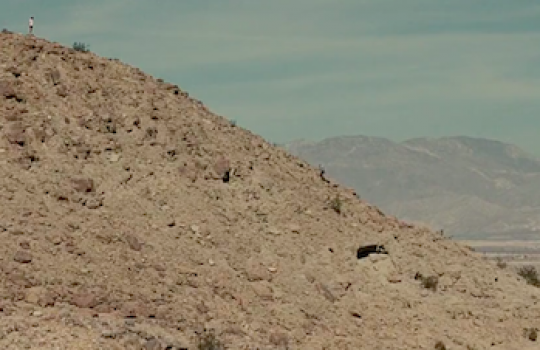 This scene was shot in the Anza-Borrego Desert State Park. 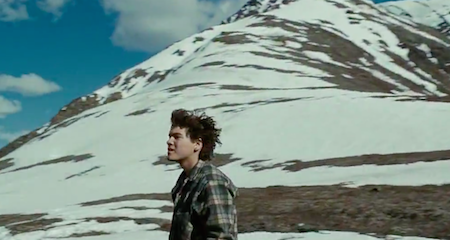 Christopher McCandless: Mr. Franz, I think careers are a 20th century invention and I don't want one. Once again Chris goes on with his journey, leaving another broken heart on his trail. He finally reaches Alaska, the place where he hopes to find peace and true wilderness. On the way he discovers an abandoned bus with a number 142 on it that he immediately baptises as 'Magic Bus'. Magic Bus 142 is located on the Stampede Trail in Denali National Park in Alaska. It has now become a famous attraction for hikers from all over the world, especially after the publication of 'Into the Wild' by Jon Krakauer. The trail is about 30 km (18.6 mi) in total. Please be aware that the Stampede Trail is not easy at all and needs solid hiking experience as well as good gear and preparation. Visit this site for information in case you plan to take the challenge. 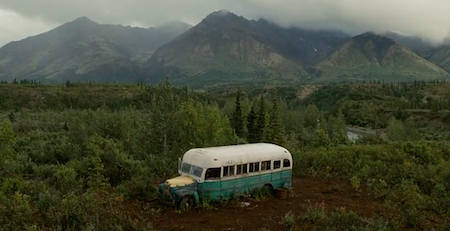 Note that Into the Wild was actually not shot on the Stampede Trail because the location of the Magic Bus 142 was too remote. 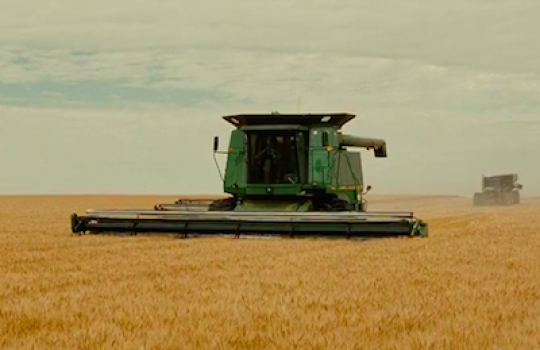 Instead Sean Penn's team built a replica of the bus in the town of Cantwell, about 80 km (50 mi) south of the original. 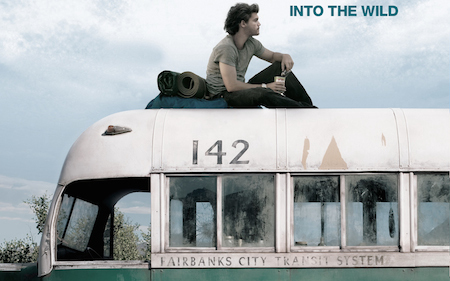 Into the Wild features some beautiful scenes of the life of Chris in Alaska. There is, for example, the river near where Chris kills and tries to cure a moose. Gruesome scene but beautiful landscape. This is Copper River, one of the largest streams in Canada with a length of 480 km (300 mi). Or also the mountain he ascends during his best time in Alaska. It is suggested this mountain was actually Mount Hood in Oregon. Do you organise holidays to visit the bus? 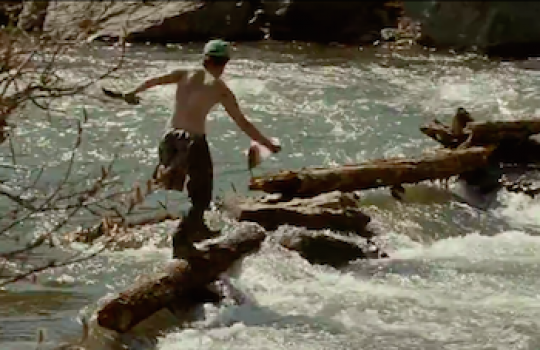 Any idea where the waterfall is that he climbs down right before going on the Colorado river? It’s only a 10 second scene. I assume somewhere in AZ or UT?